Sharon Peacock is Professor of Public Health and Microbiology in the Department of Medicine; Director of the National Infection Service at Public Health England; a Non-Executive Director at Cambridge University Hospitals NHS Foundation Trust; and an independent advisor to the Drug Resistant Infection Priority Programme at the Wellcome. 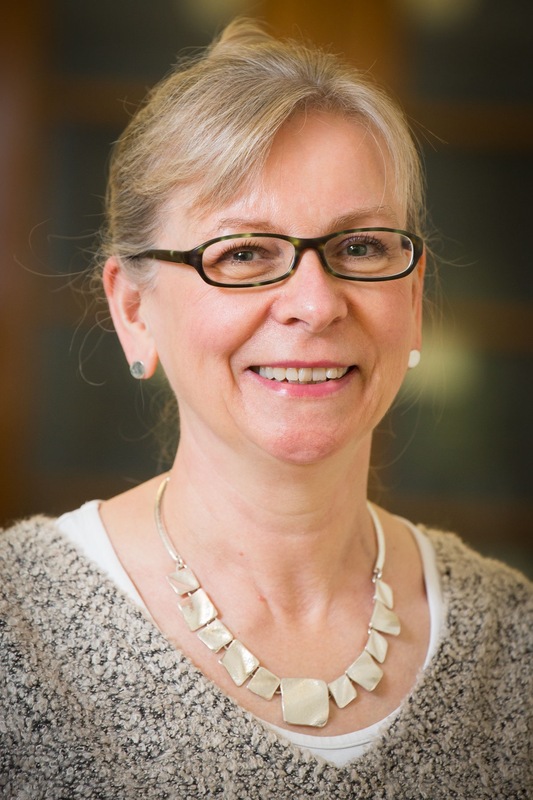 Sharon is a Fellow of the Academy of Medical Sciences, a Fellow of the American Academy of Microbiology, an elected Member of EMBO, and was awarded a CBE for services to medical microbiology in 2015. Theme 1: The biological basis of bacterial carriage and disease. This programme is led by Dr Ewan Harrison (Wellcome Sanger Institute & University of Cambridge) is currently exploring the basis for human carriage of Staphylococcus aureus, a major cause of infection worldwide. Around 20% of the population are persistent carriers of this bacterium, which increases their risk of S. aureus infection. Why some people carry S. aureus while others never do is not understood and is the question behind a Wellcome Collaborative Award. This will be addressed through the CARRIAGE study (www.carriage.org.uk), which is capitalising on existing cohorts of healthy volunteers who have been extensively characterised through human genome sequencing and phenotypic profiling. After screening 20,000 participants to determine whether or not they are S. aureus carriers, their genomes and a range of phenotypic, clinical and lifestyle information will be examined to identify associations with carrier status and the other bacterial constituents in the nose (where S. aureus is most often carried). Having established one or more hypotheses for the basis of carriage, these will be tested in relevant model systems. Lead co-investigators are Professor John Danesh, Dr Carl Anderson, Professor Julian Parkhill, and Dr Joan Geoghegan. Laboratory work is performed by Katie Bellis. Theme 2: Understanding the biology and transmission of bacterial pathogens. Sub theme A: One health. Using a One Health approach, members of the Peacock group have undertaken a series of bacterial genome-based studies to better define the possible sources of antibiotic resistant bacteria that cause serious infection in humans. This involves the isolation of bacteria (mostly Escherichia coli and Enterococcus faecium) from patients and their ward environment, livestock farms, the food chain and sewage. Bacterial genomes from these different sources are compared to define their relatedness, including the genes that code for antibiotic resistance. Bacterial genomes are also used to determine intercontinental spread of a range of pathogens. Sub theme B: Understanding the epidemiology and transmission of antibiotic resistant bacteria in hospital and the community. One example is the biothreat agent, Burkholderia pseudomallei. The group also use bacterial genome-wide association studies to explore mechanisms of disease caused by S. aureus and B. pseudomallei. This work is largely funded by individual Wellcome Fellowships to Drs Theo Gouliouris, Claire Chewapreecha, Catherine Ludden and Francesc Coll. An MRC-DBT award supports work on Mycobacterium tuberculosis in Southern India. Key collaborators are Profs Mark Holmes , Julian Parkhill , Martin Cormican , Direk Limmathurotsakul , Narisara Chantratita , and the National Institute for Research on Tuberculosis (NIRT) in Chennai, India. Theme 3: Translation of sequencing technologies into clinical and public health microbiology. Funded by a Wellcome/Department of Health and Social Care HICF (Health Innovation Challenge Fund) award, this work aims to make it feasible for routine microbiology laboratories to undertake whole genome sequencing. Applications include its proactive use to sequence pathogens associated with hospital acquired infections (such as MRSA) to provide an early warning of bacterial transmission and support outbreak investigation. The group are also developing methodology to predict antibiotic resistance and detect genes that code for virulence factors such as toxins. There is also a strong emphasis on the evaluation of cost effectiveness, which is essential if such methods are to be adopted in the National health Service and elsewhere. Analysis and interpretation of sequence data is provided by Dr’s Kathy Raven and Narender Kumar, whilst the laboratory team is headed by Beth Blane and includes Danielle Leek, Sophia Girgis and Asha Akram. Ludden C, Raven KE, Jamrozy D, Gouliouris T, Blane B, Coll F, de Goffau M, Naydenova P, Horner C, Hernandez-Garcia J, Wood P, Hadjirin N, Radakovic M, Brown NM, Holmes M, Parkhill J, Peacock SJ. One Health genomic surveillance of Escherichia coli demonstrates distinct lineages and mobile genetic elements in isolates from humans versus livestock. mBio. 2019;10(1). Gouliouris T, Raven KE, Ludden C‌‌‌‌‌‌, Blane B, Corander J, Horner CS, Hernandez-Garcia J, Wood P, Hadjirin NF, Radakovic M, Holmes MA, de Goffau M, Brown NM, Parkhill J, Peacock SJ. Genomic surveillance of Enterococcus faecium reveals limited sharing of strains and resistance genes between livestock and humans. MBio. 2018;9(6). Coll F, Harrison EM, Toleman MS, Reuter S, Raven KE, Blane B, Palmer B, Kappeler ARM, Brown NM, Török ME, Parkhill J, Peacock SJ. Longitudinal genomic surveillance of MRSA in the UK reveals transmission patterns in hospitals and the community. Science Translational Medicine 2017;9(413). Chewapreecha C, Holden MT, Vehkala M, Välimäki N,Yang Z, Harris SR, Mather AE, Tuanyok A, De Smet B, Le Hello S,Bizet C, Mayo M, Wuthiekanun V, Limmathurotsakul D, Phetsouvanh R, Spratt BG, Corander J, Keim P, Dougan G, Dance DA, Currie BJ, Parkhill J, Peacock SJ. Global and regional dissemination and evolution of Burkholderia pseudomallei. Nature Microbiology 2017;2:16263. Raven KE, Reuter S, Gouliouris T, Reynolds R, Russell JE, Brown NM, Török ME, Parkhill J, Peacock SJ. Whole-genome sequencing defines the population structure and evolution of vancomycin resistance in Enterococcus faecalis. Nature Microbiol. 2016;1:15033.